Schneider Electric has introduced the Modicon M580 Safety Controller, an Industrial Internet of Things-enabled safety and process controller that drives new levels of operational profitability, safely. 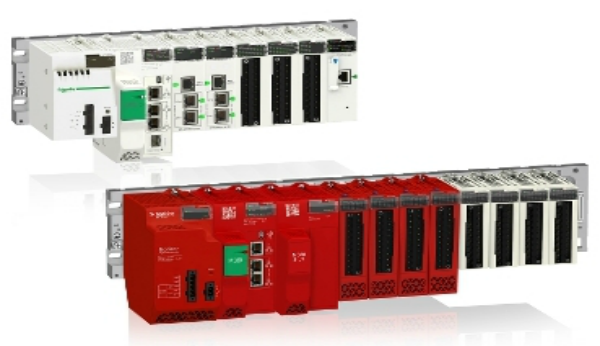 The Modicon M580 Safety Controller combines the performance, cybersecurity and networking capabilities of Schneider Electric’s award-winning Modicon M580 Ethernet-enabled programmable automation controller with the functionality of a safety programmable logic controller. When applied correctly, it is the only combined control and safety PAC on the market that offers measurable 100 percent return on investment within three months of application. Part of the company’s EcoStruxure Plant IIoT platform, the controller uses the same software tools, wiring methods and the X80 I/O structure as the M580 ePAC to reduce spare part inventory and maintenance costs. The controller also provides the workforce with better access and visibility to operating data and diagnostics via a unique and secure Ethernet communications backbone. Additionally, mobile device compatibility makes safety and operating data available anytime, anywhere, including system performance that is monitored centrally to spur continuous improvement. When combined with change-on-the-fly configuration, event logging capabilities and one of the largest programming memories in the industry, the M580 ePAC empowers the workforce to drive their operations to world-class performance. EcoStruxure is Schneider Electric’s interoperable, IoT-enabled system architecture and platform that delivers enhanced safety, reliability, efficiency, connectivity and sustainability. As manufacturers seek to measure and control their real-time business risks, particularly the risks to the safety, security, efficiency, reliability and profitability of their operations, they must have real-time access to and information about key operating variables, as well as other data required to make better real-time business decisions. For example, the M580 Safety Controller provides total transparency and real-time data flow across the control architecture, which allows customers to better balance energy consumption and asset performance. The synergies provided are proven to reduce energy costs by as much as 30 percent, while ensuring full, measurable ROI sooner. According to the Water Research Foundation, a water treatment facility supplying approximately 220 million gallons of water per day could consume 1,500 kWh per one million gallons. At US$0.05 per kWh, the typical operating expense would be approximately US$6 million annually. If that water facility were operating on the M580 Safety Controller platform, the potential savings would be US$1.8 million per year or more. For more information, please visit the Modicon M580 Safety Controller webpage. Join the on-demand webinar on “Uncover Value Hiding in Plant Assets with Modern Control Technology”.